Chevy's 2.7L Turbo Silverado: Does It Pass Muster? Chevy's 2.7L Turbo Silverado: Does It Pass Muster? Chevy’s 2.7L Turbo Silverado: Does It Pass Muster? Chevy’s turbo Silverado will hit the market before the end of the year. The new 2.7L Turbo, according to Chevy, tops comparable Ram and Ford engines. How will the new turbo hold up in a product line long dominated by 5.3 and 6.2 V8 engines? While the 6.2 V8 is the biggest and baddest rooster in the Silverado barnyard, Chevy is showcasing a new spring chicken for their 2019 1500 lineup. It’s hard to imagine General Motors – with the mighty 6.2 and evergreen 5.3 – going smaller. And turbo. But alas, as Garfield once observed, the times are always changing. 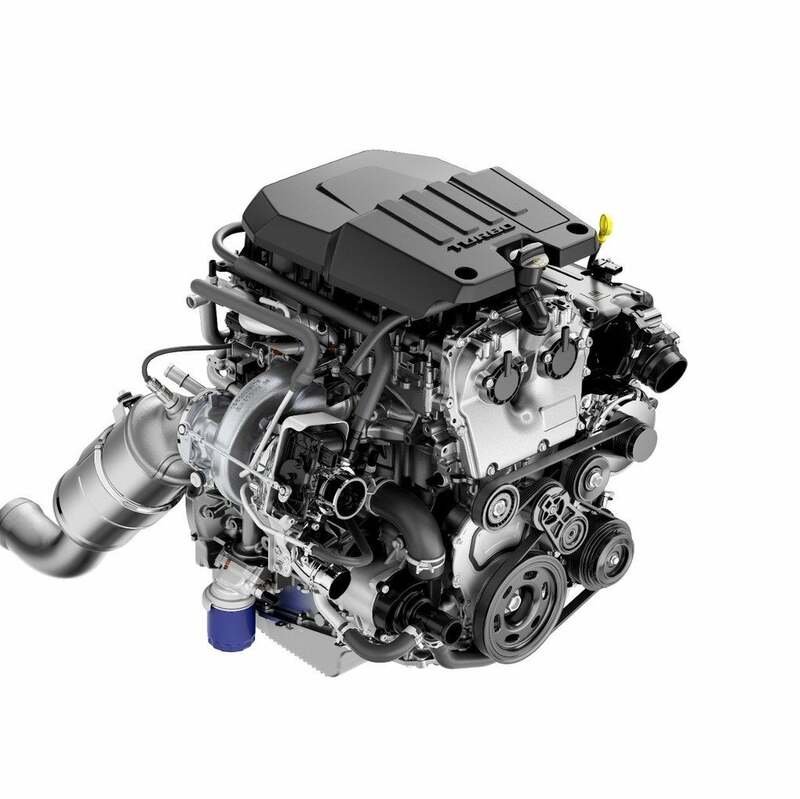 Meet the new 2.7L Turbo four-cylinder for the 2019 Chevy Silverado. When the 2019 Silverado debuted, new engine technologies, advanced manufacturing, and “mixed material strategies” were the core of the discussion. Earlier this year, we received further insight into how the new Silverado came together, after sitting down with Scott Damman, Lead Development Engineer for the 2019 Silverado. 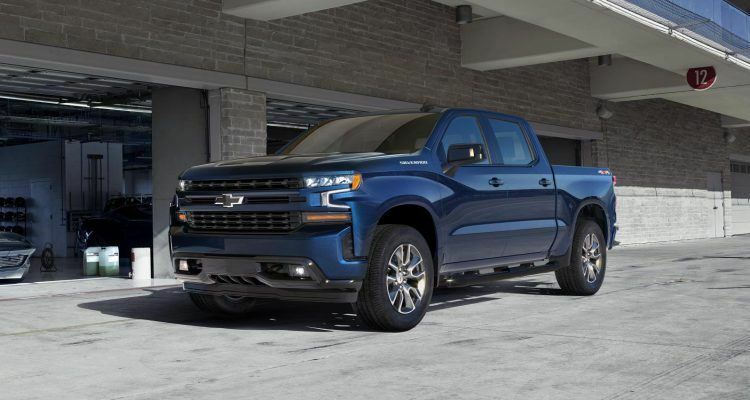 A 2019 Chevy Silverado with the 2.7L Turbo is 380 lbs. lighter than a current model with the 4.3L V6. As a bonus, the turbo Silverado is still lighter, despite increased interior and cargo space. Standard on LT and RST, the new turbo offers a 14 percent torque increase and a 13 percent bump in city fuel economy versus the 4.3 V6. It’s also a full second quicker when sprinting to 60 mph (6.8 seconds). EPA fuel economy ratings come in at 20/23 city/highway for rear-wheel drive models. Max towing is 7,200 lbs. with a 2,280 lbs. max payload when properly equipped. 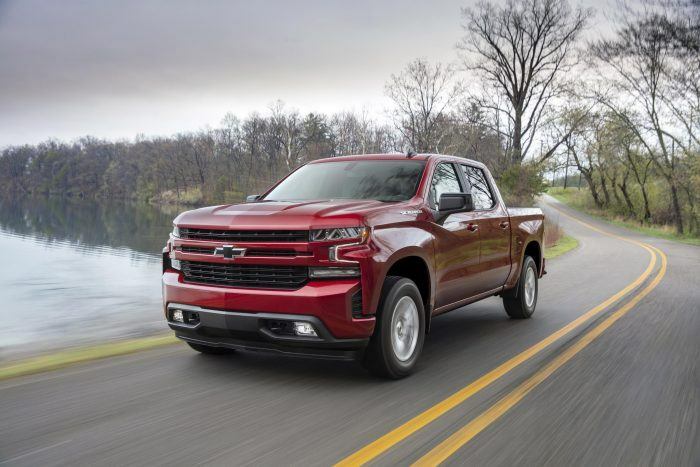 “With up to 23 mpg on the highway, the truck is efficient while still offering plenty of capability to tackle weekend projects and trips to the lake,” said Tim Asoklis, Silverado Chief Engineer. Chevy’s 2.7L Turbo endured 475,000 validation tests and a million miles of real-world testing. Photo: Chevrolet. On the nitty-gritty end, Chevy is swinging heat at their fellow Detroit rivals. The bowtie brand says the turbo Silverado delivers 310 horsepower and 348 lb-ft. of torque, topping Ford’s 3.3L V6 and Ram’s 3.6L V6 mild hybrid by 31 and 29 percent respectively. With the 2.7L Turbo, peak torque runs between 1,500 and 4,000 rpm; the engine reaches said peak quicker than the aforementioned Ram and Ford mills, according to Chevy. Chevy’s 2.7L Turbo should not be confused with Ford’s 2.7L EcoBoost, which is a V6. Same displacement yes, but different class. That engine generates 325 horsepower and 400 lb-ft. of torque by comparison. Ford’s 3.3 V6, which is naturally-aspirated, creates 290 horsepower and 265 lb-ft. of torque. Still, with Chevy having such an extensive history with the 5.3 and 6.2, how will – or how can – the 2.7L Turbo Silverado find its place? Granted, Ford’s EcoBoost engines are in a different class, but does GM now look like Johnny Come Lately? Is turbocharging half-ton trucks best left to Ford, considering the EcoBoost F-150 launched in 2011? Given the extensive number of options and price ranges, it may ultimately boil down to personal preference. One thing for certain though, trucks today are pulling their weight. And not just in payload but in efficiency. As manufacturers stack their truck lines with more advanced powertrains and lighter materials, the long-term benefits are likely more than we realize, according to this recent Detroit Free Press report. Chevy’s 2.7L Turbo is paired with an eight-speed automatic. Photo: Chevrolet. The 2.7L Turbo’s genetic makeup includes a dual overhead cam valvetrain system. This enables high- and low-lift valve profiles, continuously variable valve timing, and Active Fuel Management – or cylinder deactivation. The combination helps strike an optimum balance between performance and efficiency. The 2.7L Turbo is also Chevy’s first application of Active Thermal Management, which uses heating and cooling advantageously across the entire powertrain system. Translation: this helps with fuel economy, recovering otherwise wasted exhaust heat so the engine and transmission warm up quicker. Finally a dual-volute turbocharger housing improves response and cuts lag. The 2019 Chevy Silverado 1500 features eight trims and six engine/transmission combinations including the new turbo. Expect the 2.7L Turbo at dealers before the end of the year. 1 Comment on "Chevy’s 2.7L Turbo Silverado: Does It Pass Muster?" woah, that must be a strong engine. i would definitely try it out!